Iron Range Veterinary Clinic, with offices in Crosby and Aitkin, is a full service animal hospital and will take both emergency cases as well as regular appointments for medical, surgical, dental and other issues for dogs, cats and horses. 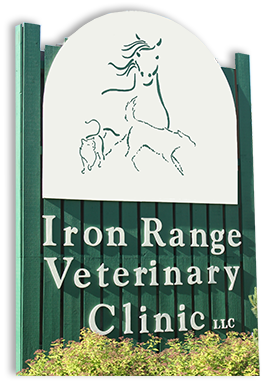 Dr. Julia Fry, Dr. Matt Stahl, and Dr. Deb MacKay welcome you to the Iron Range Veterinary Clinic serving the Brainerd – Aitkin – Crosby – Emily region of north central Minnesota. Dr. Julia Fry provides a full range of small animal veterinary preventative, medical and surgical services for cats and dogs. She completed her degree and became a Doctor of Veterinary Medicine in 2010. Dr. Matt Stahl provides both small animal and equine veterinary services. After completing his bachelor program at University of Nebraska, he attended veterinary school at Kansas State University. He will travel within a 60 mile radius of the clinic location. Dr. Deb MacKay provides a full range of small animal veterinary preventative, medical services for cats and dogs. She graduated from the University of Minnesota in 1985. Practiced as a small animal veterinarian in Southern Illinois and Guam before moving to the Cuyuna Range area in 1991. IRVC Clinic/Hospital Crosby Location: The IRVC is centrally located to serve this region and situated on State Hwy. 6 just three miles north from County Rd 11 – Hwy 6 junction. Open Monday – Friday 8am to 5:30pm. IRVC Clinic location in Aitkin, MN is now open and available two days per week on Tuesdays and Thursdays from 9:00am to 4:00 pm. The IRVC is available for regular scheduled visits during the week and for on call emergency service 24/7. 24/7 On-Call Emergency. Please call ahead. Both Clinics Closed On Saturday & Sunday. © Iron Range Veterinary Clinic | 2019 | All rights reserved.